A care job with Nobilis ticks all the boxes! 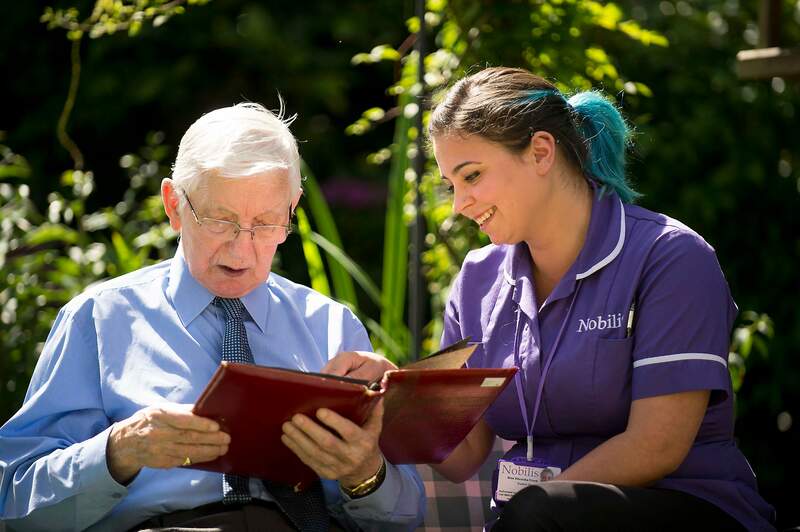 If you’re a warm, enthusiastic and compassionate person with a heart for working with older or disabled people and a desire to make a difference to people’s lives, then Nobilis Care could be perfect for you. 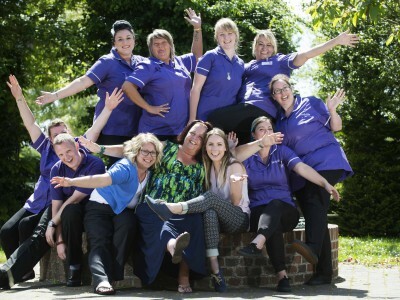 Call our Care Recruitment team today or fill in the form to your right and we will contact you! Every day is different, you’ll go home feeling great about yourself, guaranteed. How many jobs can offer you that? Required fields marked with a *. Based on your contracted hours. Warning: Some other agencies are advertising high hourly pay rates, but this INCLUDES holiday pay. We pay holidays on top of our high hourly rates. Nobilis carers are very special – could this be you? 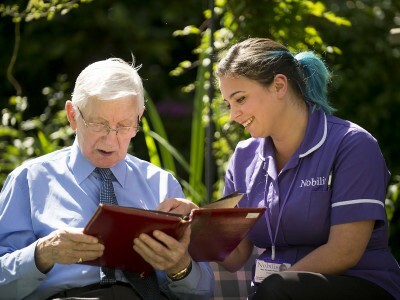 A career with Nobilis Care is so much more than another care job. If this sounds like you, then great, we’d love to hear from you. Please call us on 03333 444880 or complete the form alongside. It’s an opportunity to make a significant, powerful and lasting difference in the lives of your fellow community members at a very important time in their lives. People who choose to work for Nobilis, whether in the field or in the office, are all professionals who are passionate and committed to making a real difference in our clients’ lives. What does Nobilis offer you? 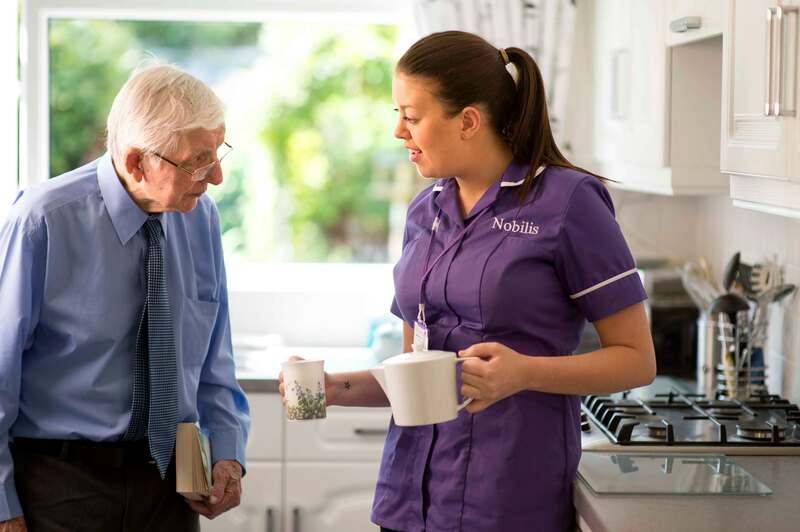 Everything at Nobilis has been set up to ensure we deliver excellent care and support to our clients and allow you to excel at your role and make that difference. In addition to an unbeatable combination of top pay, mileage, travel time, flexible hours, paid holiday, uniform and a mobile phone, there’s a lot of infrastructure which helps you do (and love) your job. We are really proud of the high calibre of our training, and the achievements of each and every one of our carers. Delivered by an experienced trainer, Roxy, our training exceeds the requirements as set by the Care Sector Council, Skills for Care. We do this because we believe strong training is the foundation from which excellent compassionate care grows. 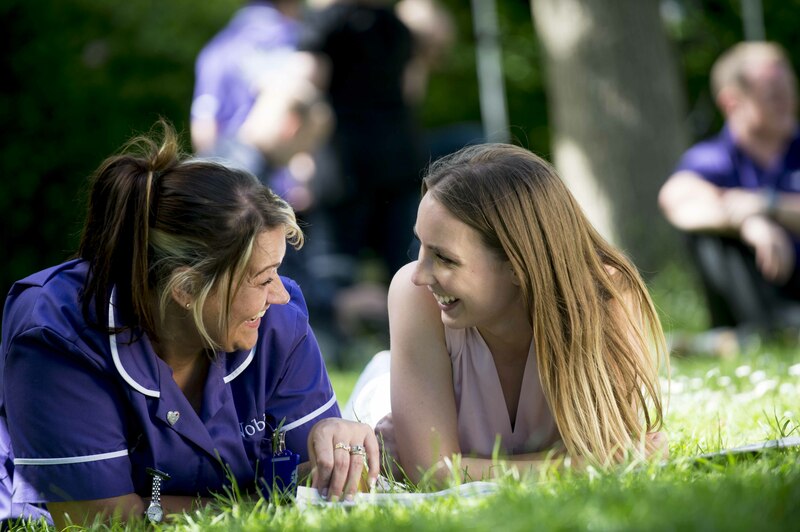 Whether you have 20 years’ experience of care work, or are new to care, every new member of our team receives the same training to ensure everybody is fully up to date on legislation, responsibilities and best practice, and delivering the high standards of care we expect from everybody wearing the Nobilis Uniform. The training is a mix of academic and ‘hands on’. Initial days are spent in the classroom covering your legal responsibilities as a professional carer as well as health and safety regulations, infection control, first aid and much more. The training involves role plays, practical moving and positioning assessments, home skills work, learning journals and group discussions. It all comes together out in the community when you ‘shadow’ existing staff. This is vital not only to meet existing team members but also to introduce you to our clients and to show you what their particular needs are before you start work 1:1 or as a double-up with another colleague. 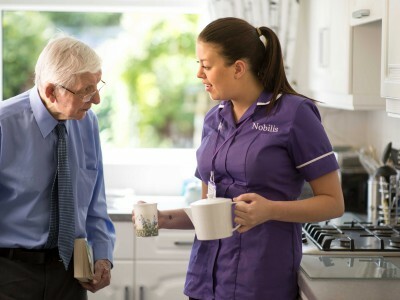 We have a dedicated management team including team leaders who work in the field supporting and develop all our support workers, carrying out observations, supervisions, dealing with any issues and most importantly making sure that everybody is enjoying the work they do for Nobilis and doing it to the best of their ability. We have teams around Hampshire – in Southampton, Winchester, Farnham and Basingstoke – which gives a strong, local support network for each team member. There will always be times when calls need to be covered at the last minute due to sickness and unforeseen circumstances. Knowing you have a strong office and field team network behind you is invaluable to allow you to confidently do your best. 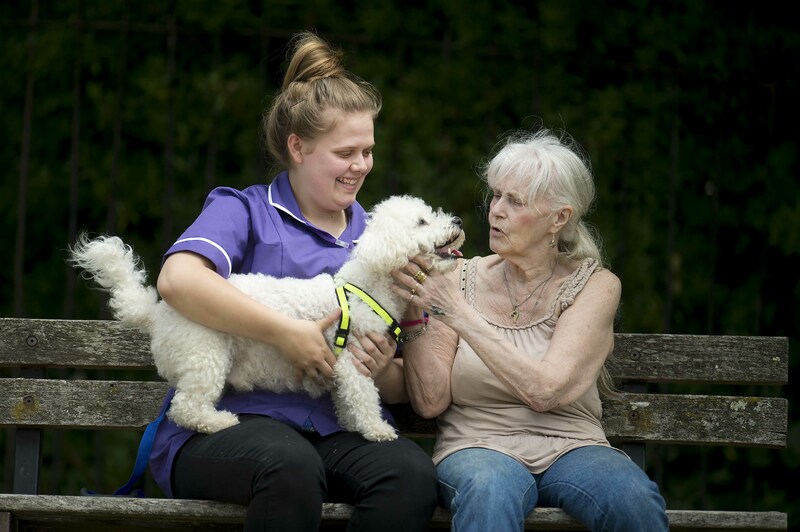 In addition to the array of training we provide all our carers, many choose to study for their Level 2 Diploma in Health and Social Care, and some opt to study for their Level 3 qualification. We hope that within six months to a year of joining Nobilis, you’ll be given the chance to study towards a professional qualification if you’re keen to do so. 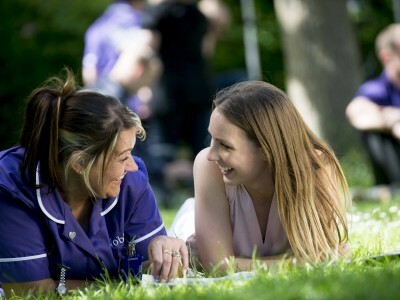 We want to attract the very best care staff at Nobilis, so we think we should pay better than all of our competitors. In fact if you’re currently working as a domiciliary carer in Hampshire and are paid more than the rates shown here, please email david.watt@nobilis.co.uk with the details as we need to know this! Mileage is paid at the rate of 45p per mile. The Nobilis recruitment process …. what happens next? Once you’ve got in touch, we will phone you back within 48 hours to discuss whether you have any previous experience, any qualifications, your current employment, your availability and why you are interested in working for Nobilis. You’ll then be emailed a little more detail including the job description and an application form. Upon receipt of your completed application form, if your qualifications, experience and geographical location match our requirements at that time, you’ll be invited to interview. You might be asked for interview immediately after an initial conversation if your qualifications, experience and location closely match our requirements and we are interviewing for an imminent Induction course. Before you come in for your interview you’ll also be asked to take two short online assessments. Both are around 10 minutes long. The first compares your personality type to the requirements of this job role and the second looks at your workplace attitude. These are not ‘tests’ and there is no right or wrong answer. No preparation is needed, so don’t worry. These assessments help us understand more about you and your suitability for the role and to join the Nobilis team. The answers you give will shape in part the questions we ask you at interview. The interview will take place either at our Head Office in Southampton or one of our regional offices, with either a Director or our Head of Recruitment Donna Busuttil. We’ll email an interview confirmation detailing the time, place and what to bring to your interview such as identification for the DBS (formerly CRB) application. 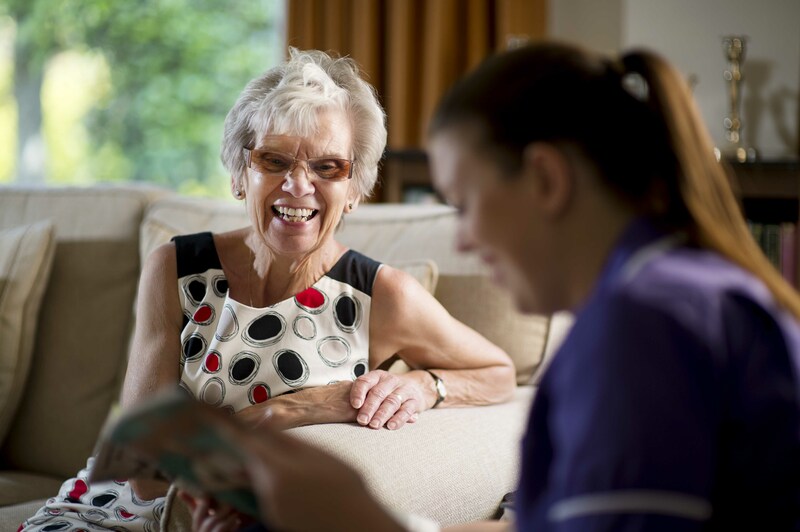 The interview is an opportunity for us to get to know you for you to find out more about Nobilis Care, the work we do, who we care for and what the expectations are. The interview will last about an hour. Your ID will be scanned. By law, we must ensure each staff member has a satisfactory DBS (formerly CRB) application. We split the cost of this with you, and ask for £30 towards this application. If you’re successful, we’ll make you a verbal offer and, upon verbal acceptance, an Offer Pack will be posted to you including the dates of the induction course you will have been booked onto. Upon receipt of your offer acceptance and completed paperwork, you will be emailed a password and details for an online DBS application. Your references will be contacted and we’ll ask for any further information that we may need. We’ll email you details of the induction course – the dates, what to expect, what to wear and the practical details of the course. Upon completion of your mandatory training and confirmation that all required documentation is present and correct, you will be classed as compliant. You will then sit down with (name) our Care Coordinator to discuss your shadowing and work schedule, before you get started on your new adventure with Nobilis.